With the U23s sitting in the relegation zone of PL2 division 1, getting 3 points from this game was crucial. A starting XI, including a mix of experience and youth, sees Nathan Trott back in goal and the first team’s Jack Wilshere, who has been back in training following an ankle injury, return to competitive football. A quiet start for West Ham with Leicester initially having the run of play, including an early shot on goal after 3 mins, which went straight to Trott and caused the keeper no problem. 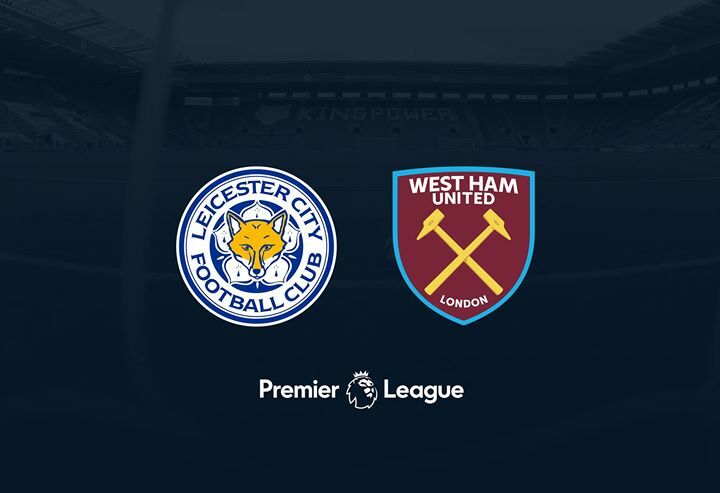 Aside from a couple of chances – Kemp caught offside and a run-in by Hector-Ingram – it’s been all Leicester for the first 20 minutes with the Hammers lucky not to have conceded from set-pieces. That said, Reece Hannam, Conor Coventry, Dan Kemp and Nathan Holland have all been pretty lively for the hosts. 18 mins gone and Kemp is tackled from behind and brought down, but the resulting free kick is given away too easily by West Ham. Leicester put the pressure on again and it’s up to Kemp to clear for a throw. This results in a decent attempt on goal from the Foxes, but Barrett clears for a corner with an excellent volley. A low corner is taken, but it is comfortably headed out by Hannam. Wilshere has got stuck in during the first half hour, but his pace has been lacking against that of the Leicester forwards. Another ball in from Kemp on 30 mins, which is cleared for a corner, but it again amounts to nothing. Final ball seems to be the issue for the Hammers. Shade is injured for Leicester resulting in the the first substitution of the afternoon as he is replaced by Elewa-Ipakwu (12). 35 mins and Kemp whips in a lovely cross from the wing, but it reaches the Leicester captain, Hughes, who clears for another West Ham corner. Kemp taken out from behind again on 40 mins and a decent free kick is taken, but is picked up by Leicester, although WHU immediately intercept and Kemp gets taken out for a third time – still no bookings. The Hammers have certainly grown into the game, but following the last 10 minutes of the half, there is no clear advantage for either team and it remains 0-0 at half time. I caught up with Mark Phillips (WHU U18s coach) at half time, who was convinced West Ham would take the points with a 1-0 win – possibly through a penalty… time will tell! Change for Leicester at the start of the second half as Tee (16) comes on for Loft (9). A chance for West Ham on 47 mins, as Kemp plays the ball to Holland, who feeds back to Kemp but the ball goes over for a very tight angle. Ball is straight back to the other end and Tee wins a corner for Leicester, but it’s not a great corner and goes out for a goal kick. 55 mins and Coventry is spoken to by ref (not entirely sure what for), but a Leicester free kick is given. Hannam defends well and the ball is quickly picked up by West Ham, but the resulting attack ends in a weak attempt by Kemp which rolls just past the post and out for a goal kick. Great chance for Wilshere on 57 minutes as Holland’s run down the wing is crossed beautifully, but Wilshere’s solid attempt is saved. Not long before it’s another free kick, won by Ngakia and it’s taken by Lewis, but is defended well by the Foxes. A good 65 minutes run out for a cautious Wilshere ends as he is subbed for January signing, Masaque Dju (12). Shortly followed by another substitution for the visitors as Wright (7) is injured and is replaced by Tavares (14). Restart results in a quick, but not great attempt by Leicester which Trott easily collects. 75 mins and Kemp is brought down in the area, the ref immediately points to the spot. Kemp steps up and converts with composure. 1-0 West Ham. The restart brings an attack by the visitors, followed by a corner, but West Ham collect the ball and quickly counter with Holland passing to Kemp who drives the ball forward but his decent effort hits the side netting. Another stoppage for an injured Leicester player results in 6 added minutes. 93 mins and it’s Hannam who blocks a great strike from Tavares. Leicester keep up the pressure but the whistle goes and West Ham have secured a valuable 3 points. Good performances from Kemp, Holland, Hannam, Barrett and Alese, with the two centre being kept very busy today.